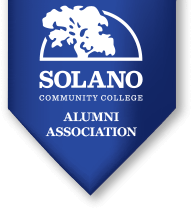 Establishing the Solano Community College Alumni Association is a project of the SCC Educational Foundation. We have a long way to go, but we’re are making progress every month. In March 2018 the first Alumni Association event was held; the SCC Crab & Shrimp Feed. A new Alumni Association Committee has begun work as well. Send us an email below, or feel free to contact us directly as shown below. We’d love to hear from you! Please call the SCC Educational Foundation office for more information at (707) 864-7177.